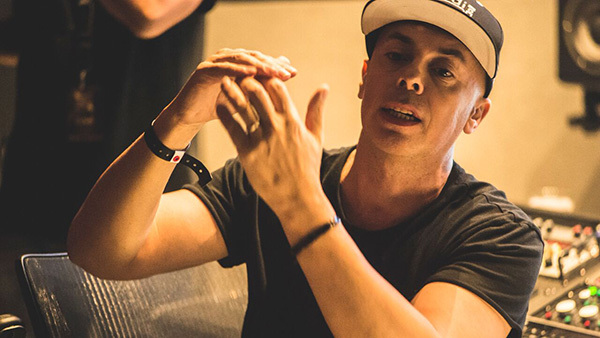 As the dust settles on 2016’s Miller SoundClash DJ competition, we catch up with one of the judges, Luca Pretolesi, who has worked with some of the world’s biggest dance music stars, including Steve Aoki, Borgeous and Diplo. Luca, please can you tell us a little bit about your history and the work you do? How did you get into the industry originally? You joined DJ Mag as a judge at this year’s Miller SoundClash DJ Competition. What were you looking for in the SoundClash DJs? Which DJs particularly impressed you on the day - and in what ways? What advice did you give to the DJs who came along? Finally, can you give us a quick insight into what you are working on at the minute - what should we be looking out for? “Right now it’s summer season and the big work before summer is done. One of the biggest records. Borgeous new album ‘13’ was mixed/mastered here by myself and Scott Banks, it’s out Aug 13th. It has a lot of big collaborations and eventually a lot of singles. At the moment I’m getting ready for my masterclass workshops outside of Vegas. I’m looking forward for the ADE event in Oct. I’ll be there for a masterclass as well as speaking on a panel. A week before that I get to bring my masterclass to Rome for the first time ever. Also I’ll be doing some stuff around the US such as attending Pensado Awards, AES, and Sweetwater events. But right now, for me, it’s like summer after summer is more dedicated to networking and sharing knowledge. Of course we never stop mixing and mastering but it’s kind of like it's my summer right now. You can find out more about Luca Pretolesi and Studio DMI on the official Studio DMI Website.